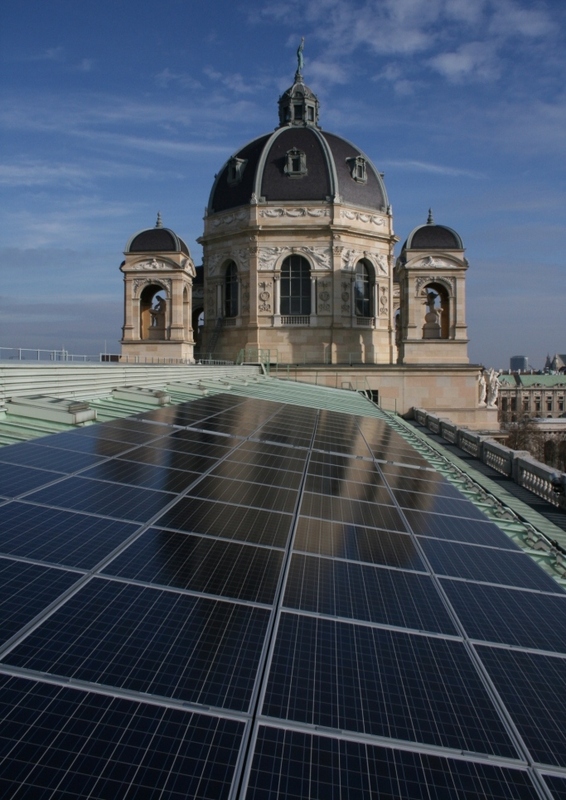 Summary In 2006 a new PV-system was installed at the roof of the NHM-Vienna additional to the first PV-system from the year 1998. The new PV-system is also located at the flat roof and fixed with an independent supporting structure. The orientation of the new system is chosen in that way that it is symmetrically with the old system.